This site is our Museum Collection for pieces that have passed through our hands to our grateful customers. Some of these pieces are not for sale, but are kept for posterity. Our current inventory is available to view at our new store site: Joden World Resources. Please visit us there for our newest inventory. Established in 1970, Joden World Resources is a family owned operation. The company is a full member of the Jewelers Board of Trade, as well as part of the Diamond Appraisers Guild and the Diamond Dealers Club of New York City. The staff members have over 220 years experience, which includes GIA Graduate Gemologists with an extensive knowledge of rare and expensive gems. 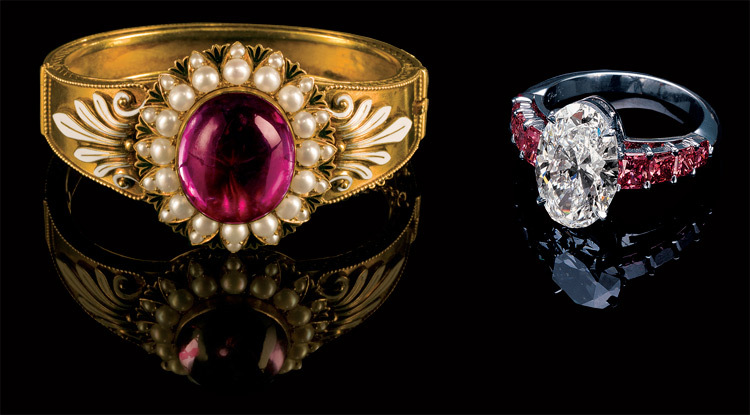 Our jewelry is featured on the covers of the New York, Las Vegas, and Miami Antique Jewelry Shows. Joden also participates in these International shows, including the Miami Beach International Antique Jewelry Show and the Las Vegas Antique Jewelry and Watch Show. Joden World Resources has three divisions. Joden Jewelers is our main location with the largest inventory of Giuliano Jewelry in this part of the country. It also includes our on-site repair workshop with high-tech machinery operated by two master bench jewelers. Joden World Resources II is our wholesale division, which is a major supplier to other jewelers within the United States, as well as internationally. So, whether you are a jeweler, a seasoned connoisseur, or simply a person with an eye for beautiful things, we invite you to enjoy our collection as much as we have enjoyed assembling it for you.